(UPDATED with several editable text boxes) If you are a beginning teacher or a seasoned one, there are ideas in here for you. 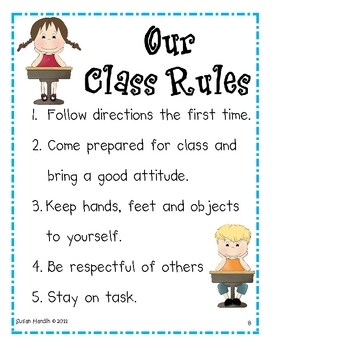 This packet includes: class posters for common procedures around your room, including a class rules poster. It includes 4 great first day activities and fun homework activities! 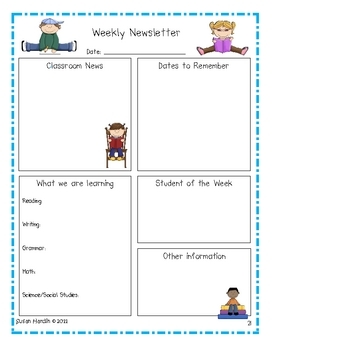 There is a weekly behavior chart, behavior incentive charts, a student information sheet and 5 weekly themed newsletter formats including Christmas and Valentines' Day. For each product, there are full explanations as to how to implement it. 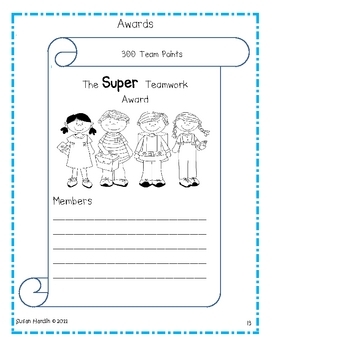 For example, I've included behavior incenive charts and awards and have provided a full explantion for implementing this behavior management system. Other detailed descriptions are also included.